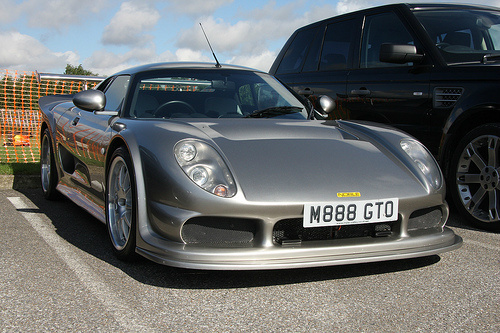 Then, in 2005, Noble launched a variant aimed specifically at the track. 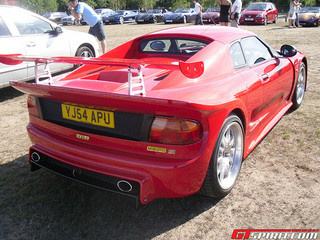 This was the two door, two seater, rear wheel drive Noble M12 GTO-3R, which took over where the GTO-3 left off. An important feature, only on the GTO-3R, was referred to as an automatic torque biasing differential, produced by Quaife Engineering. It was a form of limited slip differential that utilised helical gears, instead of clutch mechanisms, that were activated either by mechanical means or by computer. The benefit of this system was that power was concentrated on the particular wheel requiring additional torque, such as when coming out of a fast turn. In terms of distinguishing between the two variants, the GTO-3R was fitted with twin covered headlights, and a specially designed alloy steering wheel incorporating ten spokes. 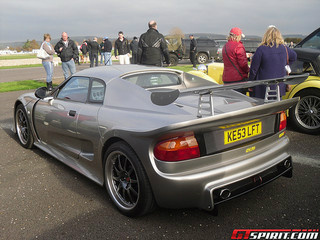 It used AP Racing's 13 inch vented and drilled discs all round, and had a curb weight of just 1080 kg, only 100 kg more than the GTO variant. Priced at $50,000, only 165 of the GTO-3R's were built, with a substantially lower figure in respect of the GTO and GTO-3 variants. Powered by the same all-alloy, DOHC, 24 valve mid-engine as in the GTO-3, the five speed manual gearbox was replaced with a six speed manual Getrag unit in which the gear ratios were revised with the result that, when travelling at the legal speed limit, the engine was turning over at only 2700 rpm. 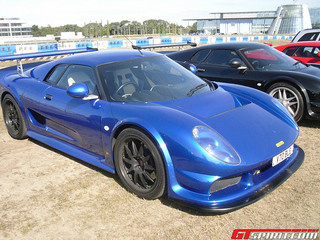 The engine of the M12 GTO-3R developed 360 bhp at 6200 rpm, well below the redline of 7200, and 358 ft/lbs of torque at 3500 rpm, with most of the power being available around 3000 rpm. 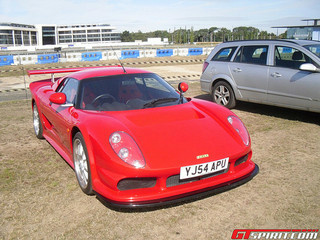 With a compression ratio of 8.5:1, the car produced a top speed of 170 mph, with a 0-60 mph time of 3.5 secs. On the second hand market, the typical selling price of an M12 GTO-3R sports car, in good condition, was between $51,000 and $58,000.